Babies aren’t technically supposed to be 101 years old, but don’t tell that to little Benjamin Shosted. 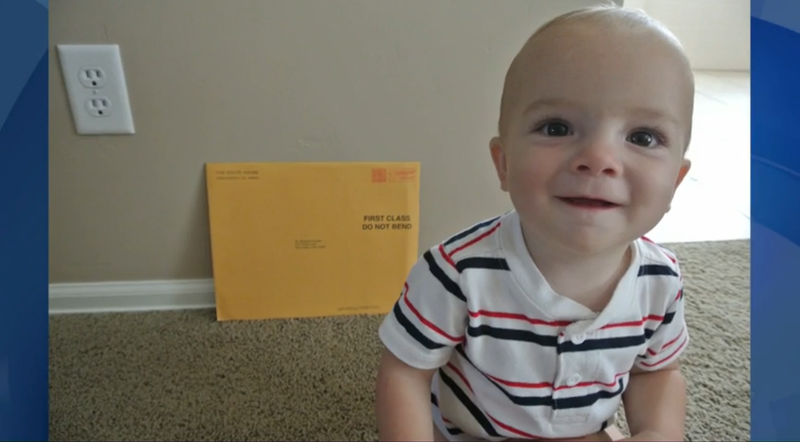 Benjamin turns 1 years old next week—a major turning point in a baby’s life. But in possibly the most adorable mix-up ever, The White House mistakenly sent a “Happy 101st Birthday” card to him and his family. The Shosteds, of Utah, routinely get personal presidential letters sent to them via the White House Greetings Office for birthdays, weddings, etc. The Shosteds wondered if Benjamin’s greeting got switched with that of a centenarian. “Maybe it’s a prediction. We’re still waiting to collect our social security checks for him,” joked Benjamin’s dad, Kevin Shosted. Benjamin can’t read yet, so he doesn’t quite get it. But when he does, in about six years or so, he’ll be delighted.